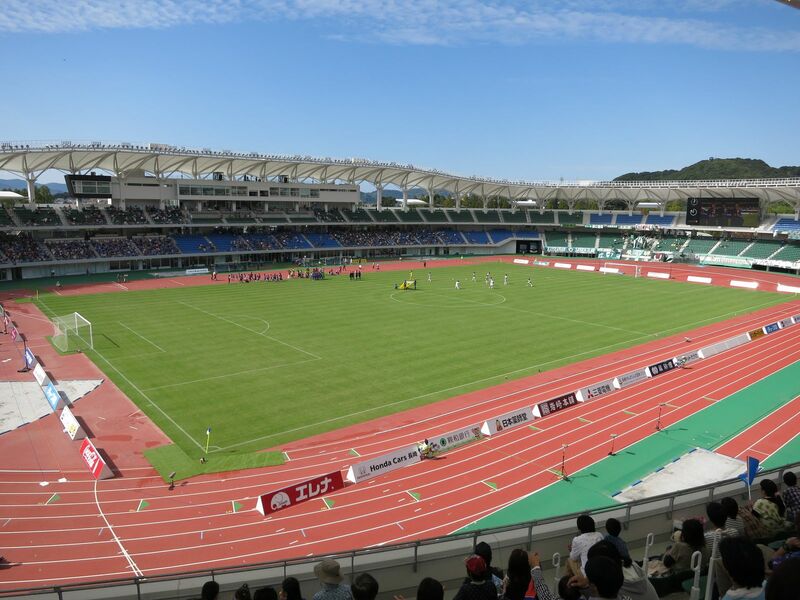 The first stadium of Isahaya (east of Nagasaki) central sports complex was built in 1969. 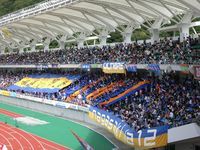 Its simple landfill stands maybe weren’t among the largest, but proved enough to even hold an international game between Japan and South Korea in 1991. The stadium offered seating on the west and east sides, with ends left open. But due to distance and slope the sight lines were rather poor, even after addition of further rows in the 21st century. 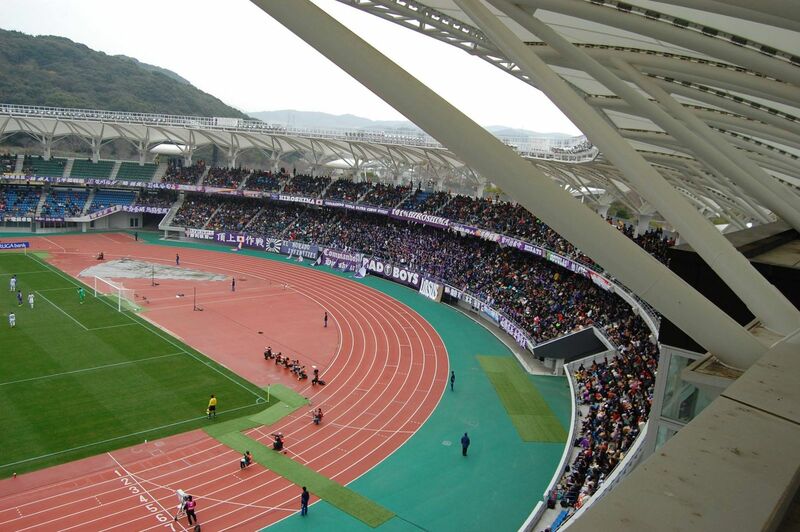 This led to demolition of the aging structure in 2011 and construction of a brand new stadium. 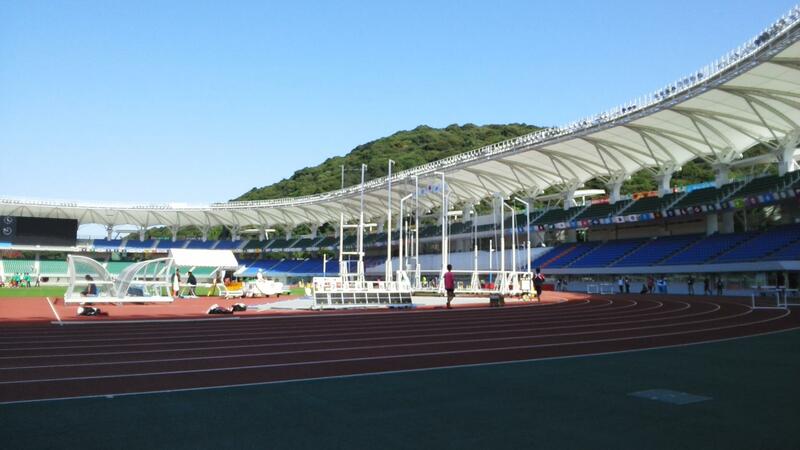 This time entirely with concrete and steel, the arena has two tiers of seating around the running track. The upper tier almost completely hangs above the lower, which makes the required roof surface modest. 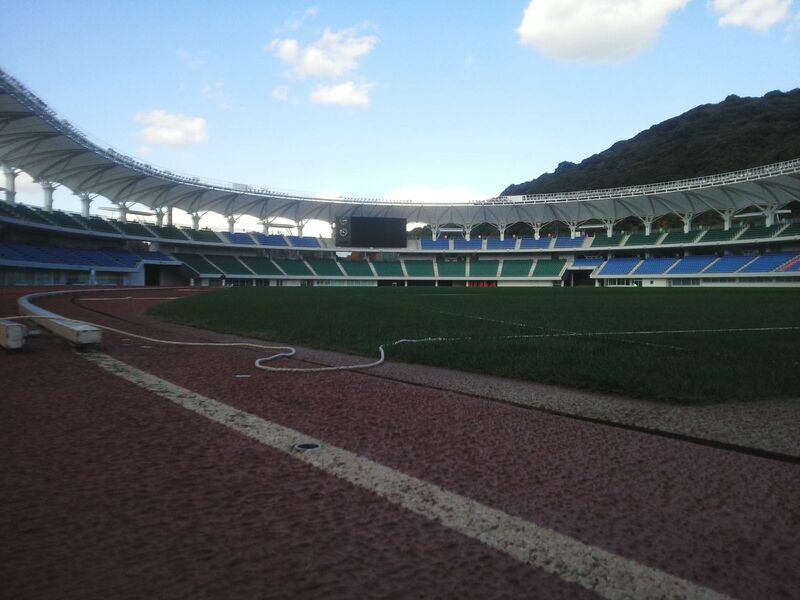 While we’re at the roof, its impressively shaped columns are the defining aesthetic feature of the stadium. 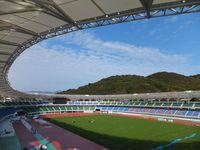 Membrane cover helps collect rainwater to special tanks under the structure, later used for irrigation and toilets within the stadium. Solar panels were also used to increase sustainability. 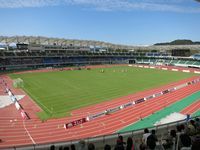 Altogether the stadium offers 29,000 square metres of floor space, largely in the western grandstand. This part of the stadium, just like it was with its predecessor, is accessible via a slick promenade. Altogether there are 1,100 parking spaces, some 500 of which were added in recent reconstruction. 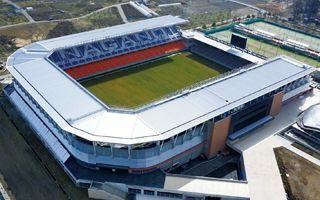 Professional team V-Varen Nagasaki currently play their home games at the stadium. 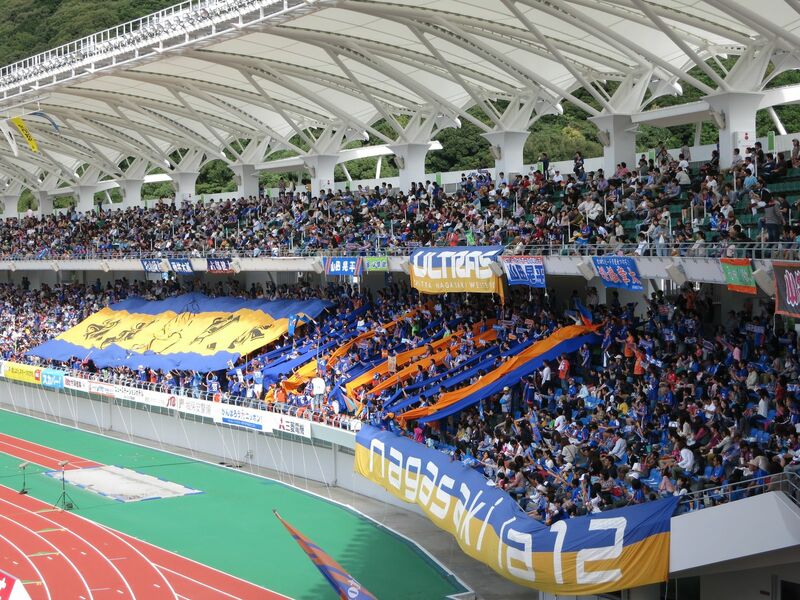 Their most vibrant fans occupy the southern curve.